Take your home bar tending skills to the next level with this cocktail shaker from the Gorham That's Entertainment collection. 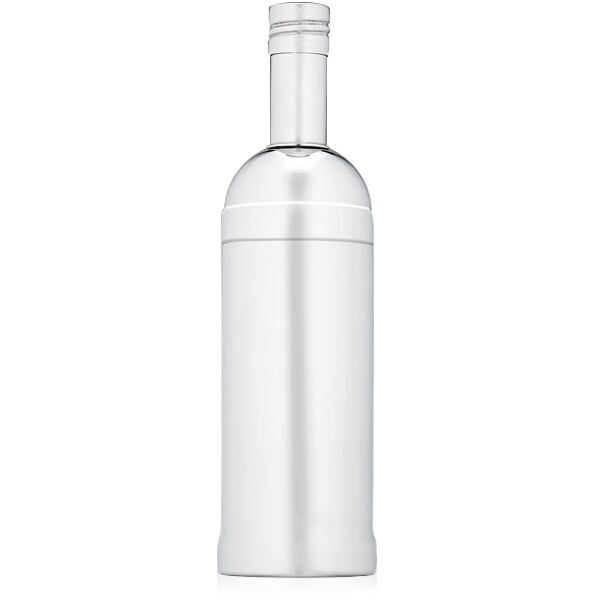 This bottle shaped cocktail shaker is crafted of premium stainless steel and is the ideal choice for your home bar. The shaker's bottle design is a fun addition to its style, yet its 22 ounce capacity won't compromise utility. Create your favorite mixed drinks and cocktail recipes while impressing your guests with this sleek piece.